Have you experienced a loss in the last year or so? Do you find yourself crying at different times during the day or night? Do you feel numb or angry much of the time? Loss takes many forms. It doesn’t matter what type of loss you have experienced — every loss is important. In order to make sense of a loss, it can be helpful to talk about it and how the associated grief it is affecting you with an experienced Grief and Loss Counsellor in a confidential environment. 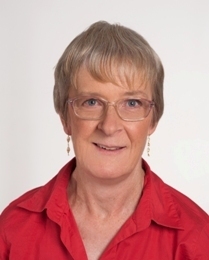 Whether you have lost a parent or family member to cancer, experienced the unexpected loss of a friend, suffered a relationship break-up, or have lost your job and find yourself in difficulties, you can find solutions and how better to manage your pain through counselling sessions with Diana Hutchison. As an experienced Grief and Loss Counsellor, Diana specialises in helping people to deal with all types of loss and the associated grief and pain through talking about and exploring your thoughts and emotions. In this way, you can gain a greater understanding of the way your loss and the pain that results is affecting you. It can undoubtedly take time to work through the grief occasioned by loss; however, with Diana’s expertise you will be shown ways of managing your pain and anger so that you are able to get through this difficult period, with the ultimate aim of becoming stronger and clearer about who you are so that life begins to make sense again. Diana also runs the Adelaide Grief and Loss Support Group, for people who would like to share their experiences of grief and loss with others in a caring and supportive group environment. Whether through individual counselling sessions, or as part of her support group, Diana can help you on your journey to a greater understanding of grief and loss. Call Diana Hutchison on 0417 295100 to learn more about how you can begin this process.